It’s not often that my day starts in a VIP room and ends in the mud of a mountain airstrip, but hey, this is Papua and you never know what a day will hold. Our little Pilatus PC-6 stood out like a sore thumb on the tarmac of Sentani’s airport, parked in front of the VIP arrival lounge, dwarfed by the Boeings. 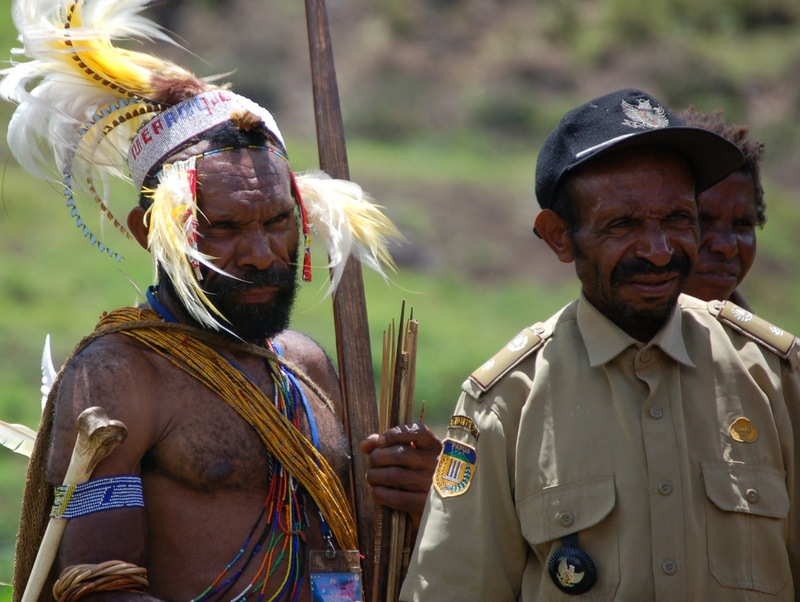 Eventually the Vice Governor of Papua and his entourage made their way to our aircraft. Our mission? Deliver them to the celebration of the Kimyal people receiving the Word of God in their own language. 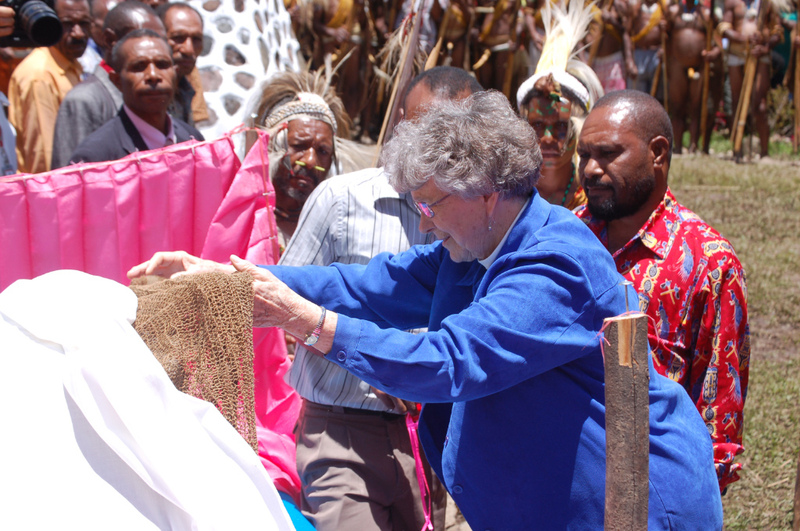 An hour later, with the aircraft safely parked at the top of the Koropun airstrip, the Dedication Ceremony is in full swing. A pastor is speaking to the assembled crowds. I wander about with my camera, watching faces, taking it all in. Under the brilliant blue sky and towering mountain walls that surround us, the Kimyal are resplendent in their best dress. Here’s a guy in his warrior finery standing next to a man in the uniform of a government civil servant. 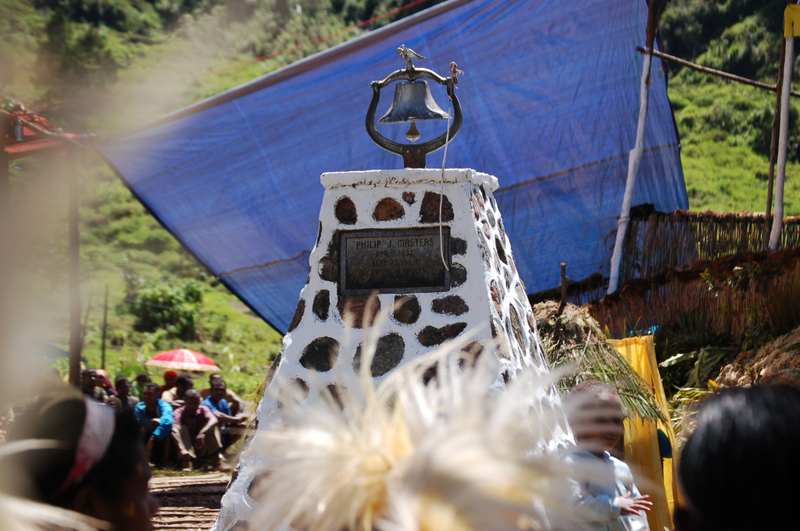 In Papua, the Stone Age and the 21st Century dance together with a tentative step and uncertain rhythm. Then, through a maze of Bird of Paradise plumes I notice it. A simple, chest-high monument with a tiny brass plaque embedded in it. I quietly maneuver to the point where I can read the engraving. My mind floods with thoughts and images. 1968. He was 36 years old. I was a newborn. These mountains surrounding me were solidly in Satan’s grip. 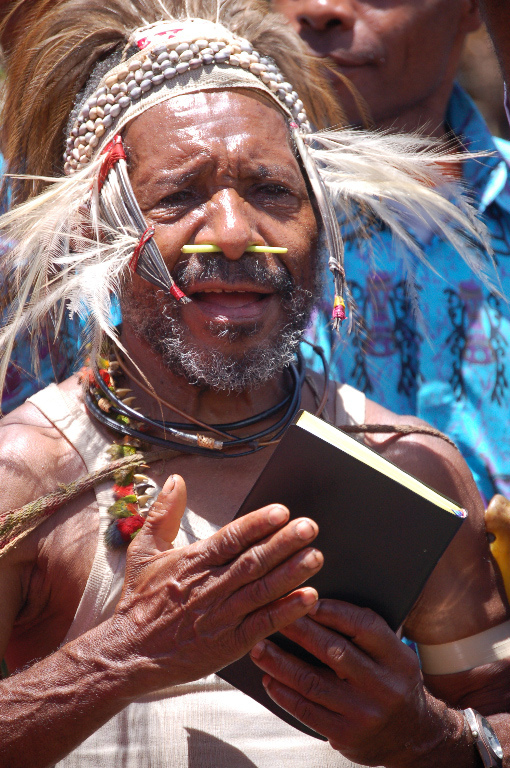 The Kimyal and their Yali neighbors were fierce defenders of the evil one’s domain. Fully aware of the risks, Masters walked in, hoping to pierce the darkness with the light of God’s passionate love for these people. He didn’t walk out. The bows of Yali warriors sent dozens of arrows into his body and his life bled away on a lonely river bed a few valleys west of where I stand. My eyes refocus on this huge gathering of Kimyal beside the Koropun airstrip. I’ve met several who have trekked days through the mountains to get here. They walked through those mountains in peace, in a complete absence of fear that they would be ambushed by their enemies, or worse, overwhelmed by evil spirits. 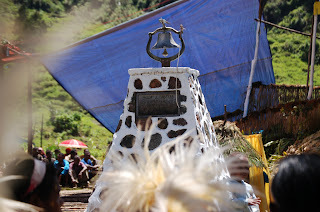 Today, among the Kimyal, the spirit of happiness, freedom and light is palpable. 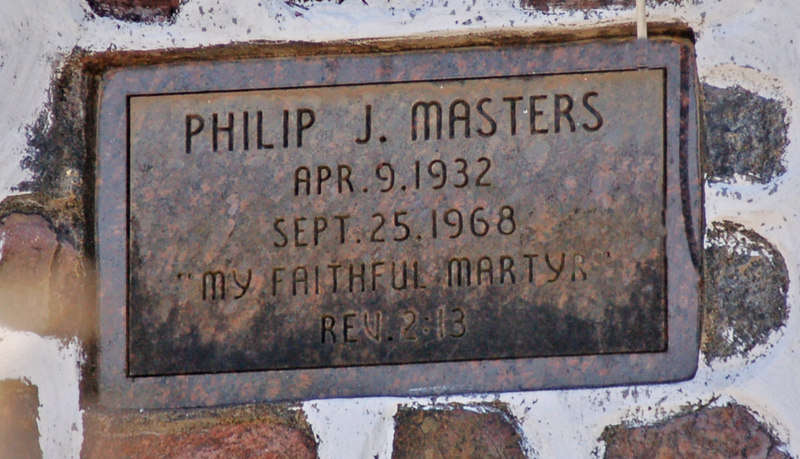 Phil Masters gave his life for this end. For this day. I look again, and there’s Phil’s widow, forty-two years after her husband’s death, lifting a ceremonial net bag to reveal a stack of freshly printed books whose pages contain some very good news for the Kimyal. 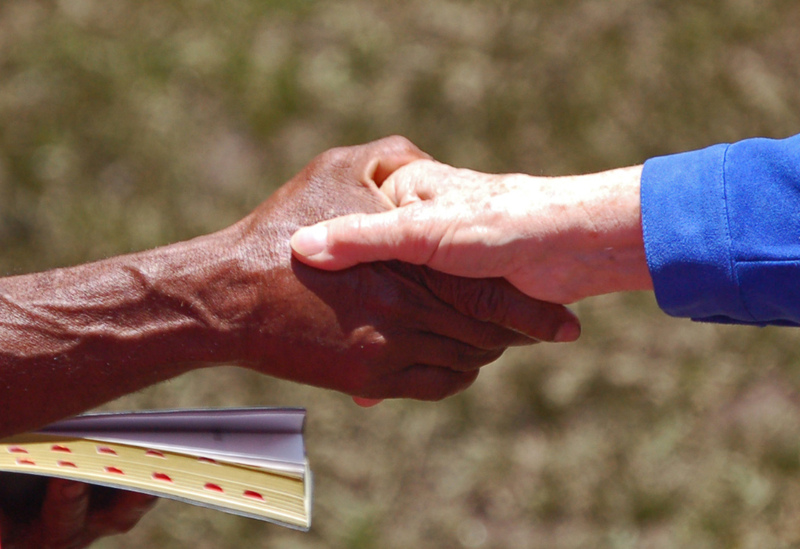 Phyllis Masters presents the first New Testament to a wizened old warrior. The one who lost so much, gives to a representative of those who stole deeply from her. She gives what has sustained her these many years. 8 March Note: see a great video of the Kimyal receiving the word here. WHAT A TREMENDOUS TESTIMONY THAT GODS WORD DOES NOT GO OUT VOID BUT RETURNS TO US 10 EVEN 100 OR 1000 FOLD!!! THANK YOU FOR LINKING US TO THE REST OF THE STORY. This is amazing. Thank you for posting this. 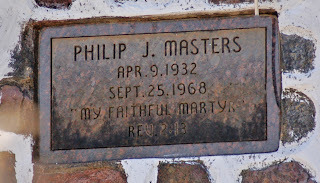 Phillip Masters death gave life to many who will join him one day. What a glorious day that will be.